Cleveland is fortunate to be home to world-class healthcare and arts and culture assets. Increasingly, these sectors are developing creative intersections and partnerships which are impacting individual and community health and well-being. 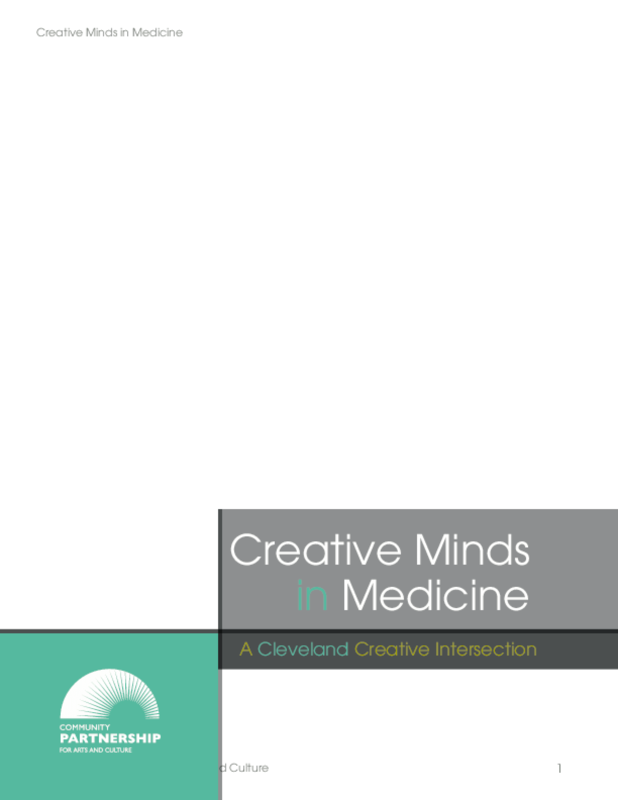 From expressive arts therapies and the design of healthcare environments to addressing public health issues and enriching medical education through the arts, this report explores a broad range of Cleveland's arts and health intersections and poses recommendations for strengthening them in the future. Learn more about this innovative work through six case studies, which demonstrate how Cleveland's arts and health practitioners are creating positive outcomes for individuals while also leading our city to a healthier future.